Rawlings hands out the Gold Glove Awards at the big league level as well as the minor league level. In the big leagues, the award is given out for each league, but in the minor leagues there’s only one per position for all of Minor League Baseball. With seven levels of Minor League Baseball in just the United States it’s incredibly tough to be selected as the one player for your position. That makes what Zach Vincej did this season even more impressive. 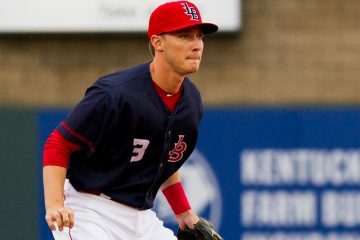 The Cincinnati Reds 37th round pick in the 2012 draft was one of the top defensive college shortstops when he came out of Pepperdine and he’s shown himself to continue to be outstanding since turning pro. Vincej had some slight error problems while playing for Bakersfield in 2014, but that field is well known to be sub-par and given the rest of his history, we can probably blame the field for a few of those errors. In 2016 with the Pensacola Blue Wahoos he made it into 105 games at the shortstop position, racking up 873.1 innings played. In that span he made just four errors. FOUR. That was good for a fielding percentage of .991 at the position. That was easily the best fielding percentage at shortstop in all of Minor League Baseball, and the only player over .985 on the season. Earlier in the season he also saw action in 11 games at second base. He didn’t make a single error in 64.0 innings. He’s got some of the better hands in the system and he’s been about as error-free as you could expect someone to be. He’s played 1417 innings at shortstop since arriving in Double-A with the Blue Wahoos in 2014 and he’s made just nine errors. That’s 694 chances for an error and he’s made turned 685 of those into outs. That’s a .987 fielding percentage. 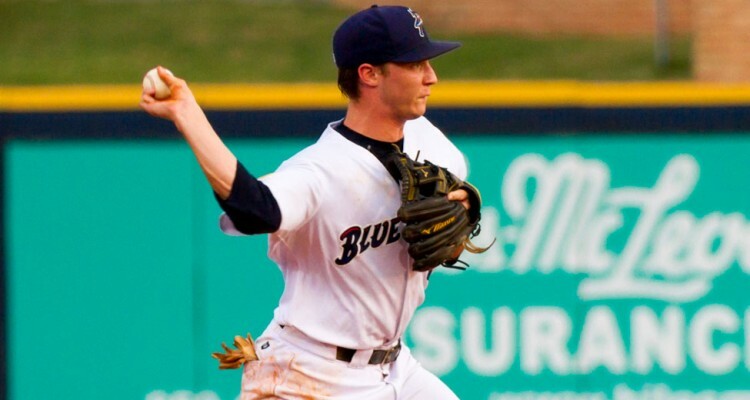 Zach Vincej will be heading off to play in the Arizona Fall League in just a few weeks. The 25-year-old will be taking his excellent glove with him, but he will also be coming off of his best season at the plate since his 1st taste of professional baseball with the Billings Mustangs in 2012. In 2016 he hit .281/.329/.378, but he was even better than that for a large majority of the season. After struggling mightily for the first six weeks of the season he finished up the final 86 games of the year, starting with the final week of May by hitting .305/.347/.426. Who was the best bunter in the Reds organization? 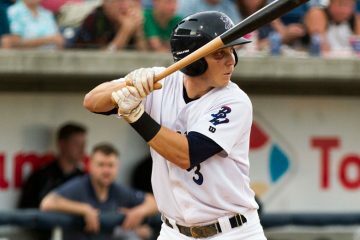 Zach Vincej: Possible Reds utility player? I was surprised to see Aquino not on the list at RF. With the insane amount of OF assists you would think he’d be there. I was too, but then I looked into it. Mike Gerber took the award home and he didn’t make a single error on the year in right field. He had six assists, but caught every ball he touched. Aquino made eight errors, good for a .970 fielding percentage. 28 assists is laughable when you think about it – but it seems these awards are based on not making errors. Kudos to Vincej. He’s obviously put time in on the offensive end as well. It’d be a terrific accomplishment to make the big leagues as a 37th round pick. Isn’t it strictly based on fielding percentage? Barnhart won this in 2011 and I believe I remember that it was a statistical award based on fielding percentage alone. Nice to see Vincej get some recognition…very good shortstop who is often overlooked. The article doesn’t state that, but it certainly could be that as the winners were all extremely high fielding percentage guys and that was mentioned for each one of them in the article. Impressive accomplishment. It sounds like there is some potential to at least be a utility player of the bench at the major league level given his defense and decent batting line. What do you think, Doug? Maybe not much of a ceiling but a higher floor for Vincej. He’s got some defensive versatility and that could play into things in a few years as a bench role guy. Good for Zach, don’t think the Reds have had one of these since Tucker Barnhart in 2011, another guy they thought wouldn’t hit enough to play in Big Leagues. Saw Chris Berset playing this weekend for Great Britain in the World Cup Qualifier versus Israel and Brasil. He had a walk-off throw out of a runner at third to secure the elimination victory over Barry Larkin’s Brasil. Still think Chris got ripped off when they brought up Lopez over him for September. I’m pretty sure that you are correct – Barnhart is the only other Reds winner. Also agreed completely with Berset and the call up.